How Will Latinos Shape the Future of the American Dream? Drivers of Opportunity: How Will Latinos Shape the Future of the American Dream? This event was presented as part of EOP’s Working in America event series and AILAS’s Latino Economic Advancement series. The Economic Opportunities Program is grateful to the Ford Foundation, the Prudential Foundation, and the Walmart Foundation for their support of this work. The Aspen Institute Latinos and Society Program would like to thank the Ricardo Salinas Foundation, Target, the Woody and Gayle Hunt Family Foundation, Comcast/NBCUniversal Telemundo, the Bank of America Charitable Foundation, Edison International, and Weingart Foundation for making this event and the work of the Latinos and Society Program possible. 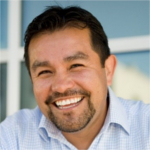 Jose E. Corona is the Director of Equity and Strategic Partnerships under Oakland Mayor Libby Schaaf. In this role, Jose serves as senior advisor to the Mayor, with the responsibility of creating, coordinating, and facilitating public, private, and philanthropic partnerships that foster equitable opportunities and benefits for the people of Oakland. Prior to this, Jose served as CEO of Inner City Advisors (ICA) for 10 years and led ICA to becoming a nationally recognized, award-winning organization for its work on scaling small businesses and entrepreneurs as a way to create good jobs, especially for people with the highest need. Jose is an Aspen Institute Quality Jobs Fellow. In 2017, Jose was voted by Planetizen as one of the Top 100 Most Influential Urbanists that have had the most influence on the places and environments that we call home. He serves on the Board of several organizations including ICA/Fund Good Jobs, BALLE and YMCA of The East Bay. He holds a bachelor’s degree from UC Davis and Entrepreneur Management Development Certification from the UCLA Anderson School of Management. Dr. Marie T. Mora is Professor of Economics and Associate Vice Provost for Faculty Diversity at The University of Texas Rio Grande Valley. 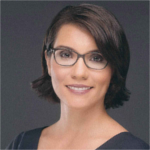 Mora – a labor economist – has been invited to share her research expertise on Latino and Hispanic socioeconomic outcomes at institutions and agencies across the country, including the White House and the Board of Governors of the Federal Reserve System. 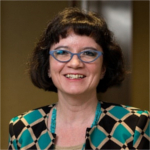 Her publications include the recently released Population, Migration, and Socioeconomic Outcomes among Island and Mainland Puerto Ricans: La Crisis Boricua (Lexington Books, 2017, with Alberto Dávila and Havidán Rodríguez); the award-winning Hispanic Entrepreneurs in the 2000s: An Economic Profile and Policy Implications (Stanford University Press, with Dávila); two co-edited volumes; and numerous refereed journal articles and book chapters. Mora’s recent honors and recognitions include the 2017 Inspiring Leaders in STEM Award (INSIGHT into Diversity magazine); the 2016 Outstanding Support of Hispanic Issues in Higher Education Award (American Association for Hispanics in Higher Education); the 2015 Cesar Estrada Chavez Award (American Association for Access, Equity, and Diversity); and the 2015 Distinguished Alumnus award (Department of Economics, University of New Mexico). She earned her Ph.D. in Economics from Texas A&M University, and bachelor’s and master’s degrees from the University of New Mexico. 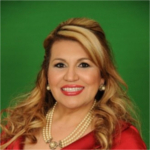 Maria Rios is the President and CEO of Nation Waste, Inc. (NWI), the first female, Hispanic-owned waste removal company in the United States and one of Houston’s largest minority-owned companies. NWI is a fully-certified, commercial waste disposal company specializing in construction, demolition, commercial and industrial non-hazardous waste removal, portable toilets, and recycling services. In 2015 the International Women’s Entrepreneurial Challenge (IWEC) announced Rios as one of the top 27 women entrepreneurs in the world. Fortune named Rios as one of the 2013 Fortune Most Powerful Women Entrepreneurs in the US. Goldman Sachs honored Rios as one of its 100 Most Intriguing Entrepreneurs. In 2015 Rios and NWI were featured on CNBC’s Blue Collar Millionaires, a docu-series profiling big personalities who have gained wealth “by getting their hands dirty…and rolling up their sleeves…with a can-do mindset.” CNBC marketed the Rios episode as “The $30M empire built on trash.” Maria Rios is living the American dream, as she began her US journey emigrating from El Salvador as a child. Her family came to the US to pursue education and a better life. Through reliance on faith, a relentless work ethic, and determination, Rios earned her bachelor’s degree from the University of Houston. Carmen Rojas is the CEO of The Workers Lab, an innovation lab that invests in entrepreneurs, community organizers, and technologists to develop new ways to build power for working people in the US. The Workers Lab invests capital, offers business development training, and connects ventures to a broad network of supporters. She has over 15 years of experience working with organizations to test revenue models and exploring the range of capital vehicles that can scale power building. 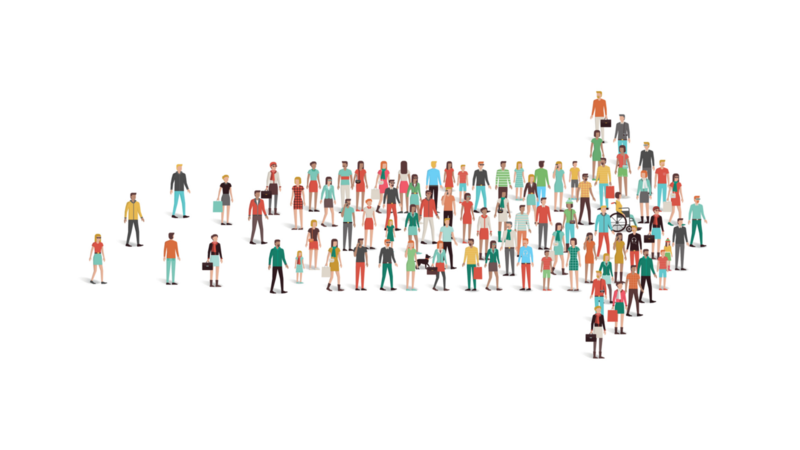 Prior to assuming this position, she was the Acting Director of Collective Impact at Living Cities, where she worked with 22 of the largest foundations and financial institutions in the world. From 2008 to 2011, Carmen was the Director of Strategic Programs at the Mitchell Kapor Foundation, where she oversaw the Foundation’s Green Access and Civic Engagement programs. Prior to joining the Foundation, Carmen was the Coordinator of the San Francisco Redevelopment Agency’s Taskforce on African American Out-Migration. Carmen holds a Ph.D. in City and Regional Planning from the University of California, Berkeley and was a Fulbright Scholar. Kimberly Adams covers politics and general news for Marketplace from the Washington, D.C. Bureau. Before moving to D.C., Kimberly reported on the political, social and economic upheaval in Egypt following the Arab Spring as a freelance journalist based in Cairo. Her work aired on multiple networks in the U.S., Canada, UK, Ireland, Germany, Hong Kong and elsewhere. 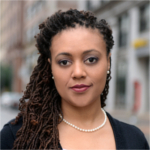 While reporting in Cairo, she received awards from the National Association of Black Journalists, the Religion Communicators Council, and the Association for Women in Communication. She was also competitively selected for the International Women’s Media Foundation “Great Lakes” Reporting fellowship to Uganda, where she reported on environmental, economic and LGBT issues. Prior to freelancing, Kimberly worked as a producer for NPR from the D.C. headquarters, covering politics, arts, culture, and breaking news. She began as assistant to Senior News Analyst Daniel Schorr, working with him until he passed away. At NPR, she also produced for Weekend Edition and the Washington Political Unit. In 2011, Kimberly was competitively selected for NPR’s reporter training program, during which she reported for WBUR in Boston. Kimberly holds degrees in journalism and political science from the University of Missouri-Columbia and a graduate diploma in political science from the American University in Cairo. She is also a member of the Board of Governors of the National Press Club. The Aspen Institute founded the Latinos and Society Program in order to bring Latinos and non-Latinos together to learn about their shared future and jointly explore solutions to the challenges of our times, particularly in the areas of civic participation, economic advancement and educational opportunity. 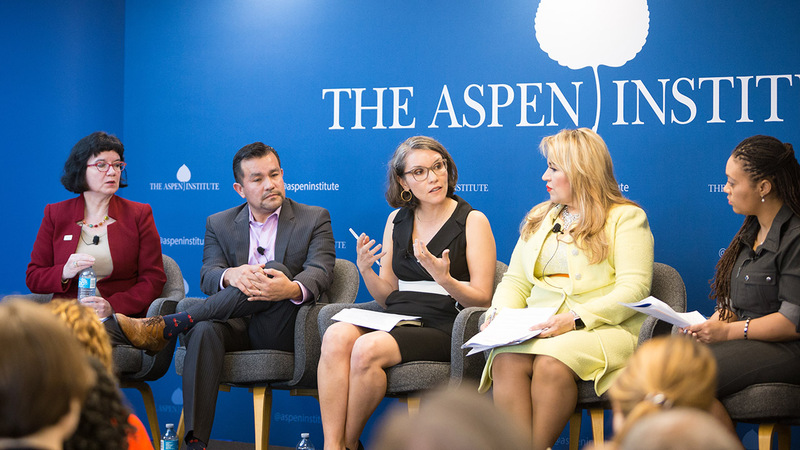 It connects Latino leaders to Aspen Institute programs and networks, fostering collaborations that contribute to a more informed and inclusive vision of America. To learn more, follow @AspenLatinos, or visit AspenInstitute.org/policy-work/latinos-society. 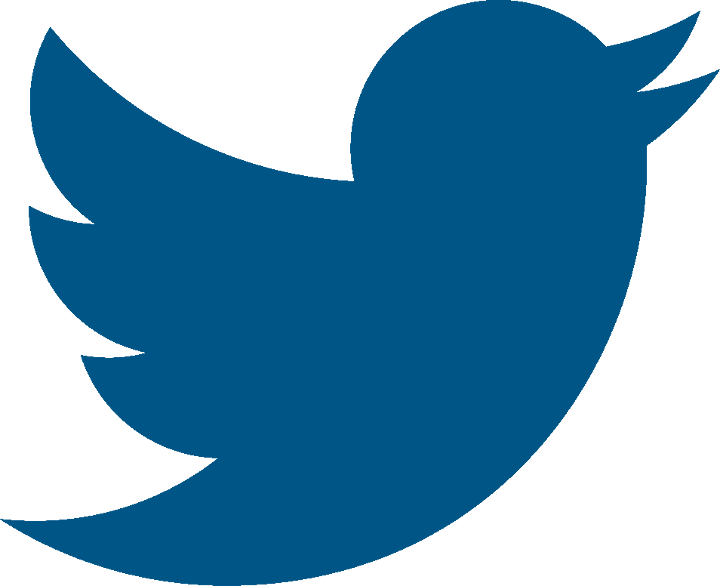 Join the conversation on Twitter by following @AspenWorkforce and @AspenLatinos and tweeting with the hashtag #LatinosAdvance.